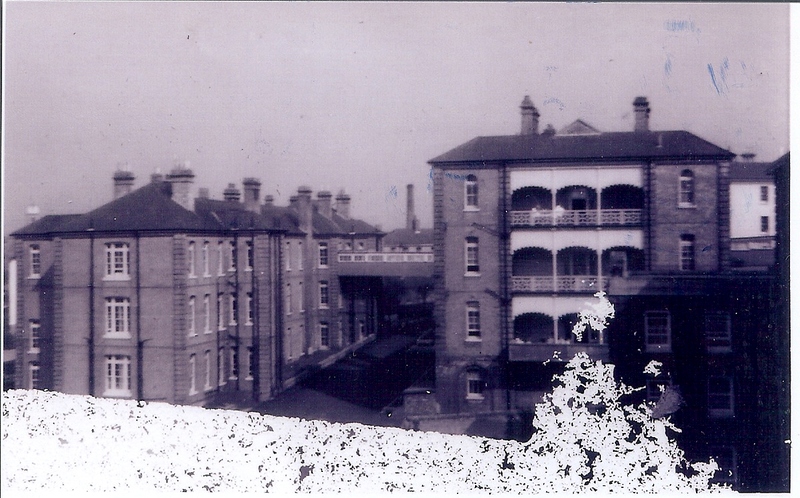 This photograph, taken from the top of the Nurses’ Home at the Brighton General in around 1956, shows C Block and D Block as they were then without the closed in balconys. Also clearly seen is the bridge corridor across from block to block. The Brighton General site contains a considerable number of photographs of the hospital, nurses, Christmas events, and a whole lot more. It was set up as a site for those nurses who trained at the General when it was an individual school of nursing before the trust and the loss of separate hospital nurse training. It is well worth a visit for anyone interested in the history of the hospital. Any SRN who did the three years at the General can get in touch with the Brighton General Hospital SRNs’ Association by visiting the site. There are a couple of pictures showing the inside of the corridors that should soon be on the site, I hope.